As your eCommerce business matures, at some point you can no longer handle your order fulfillment in-house. You need to find a 3PL provider and outsource your fulfillment. You might sell a terrific product. Maybe you do a great job of marketing it. Perhaps your reviews are all five stars. However, if your third-party logistics operation doesn’t run smoothly, your eCommerce business can’t thrive. Choosing a 3PL provider is like finding a new business partner. The eCommerce 3PL company you pick can make – or break – your eCommerce business. It’s critical to find a fulfillment company that offers the services you need. Fulfillment is one of the most important components of any online retail business. You must provide the quick turnaround and fast delivery that eCommerce customers demand. Otherwise, you’ll lose sales. Yet, eCommerce predictions for 2019 show that one of the biggest challenges for most eCommerce businesses will be managing the cost of shipping. Here are 16 questions to ask each 3PL provider before you sign a contract. 1. What types of products does the third-party logistics provider specialize in? Not all fulfillment warehouses are the same. Don’t trust a 3PL warehouse that tells you it can handle every kind of shipment. A good fulfillment center will know its strengths. Here are some considerations for different types of items as you choose your 3PL provider. Shipping heavy and bulky items is an art. If handled properly, the logistics of shipping a heavy item like a car engine or a piece of furniture is painless. However, it takes a specialist to understand how to properly pack heavy merchandise. E-fulfillment company staff who specialize in getting bulky items safely to their destinations will save you money. You’ll have fewer damaged shipments and more satisfied customers. The shock of high shipping costs is the top reason for shopping cart abandonment. Therefore, managing shipping costs is the biggest challenge for online retail. The major delivery companies, including FedEx, UPS, and USPS, use dimensional, or DIM, weight to determine shipping costs. DIM weight is calculated based on both the weight of the package and the size of the box. If you sell large but lightweight items, such as papier-mâché giraffe sculptures, DIM weight charges could increase your shipping costs and discourage sales. A 3PL provider with experience in handling large items can help you find the most economical way to package your orders. The right 3PL provider can save you money on shipping. That can be the difference between success and failure in online retail. Would you want your glassware shipped by a third-party logistics provider that manages a warehouse full of soft goods? Probably not. Experience is the key to getting your fragile products to your customers in one piece. A top-notch fulfillment warehouse will carefully ship fragile items with the minimum packaging required. That can save you money on packing materials and shipping costs. 2. What will the 3PL provider do to meet my performance metrics? You set performance goals for your business. If your fulfillment warehouse doesn’t do the same, your eCommerce business can fall short. Your outsourced logistics is an arm of your operation. 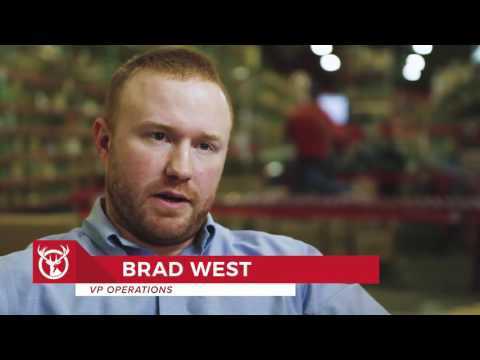 Your 3PL partner should have the same standards of excellence as you do. Look for a 3PL provider that gives incentives to its management and staff to meet and exceed goals for accuracy and speed. 3. Is there a minimum monthly order volume to work with the fulfillment center? Make sure your operations match the requirements of the 3PL provider you choose. This is particularly important if you have a business that goes through seasonal cycles. Otherwise, you might be hit with minimum charges during your slow time. 4. Can the 3PL provider meet the demand for increased capacity as my business grows? One of the greatest benefits of outsourcing your fulfillment is the flexibility to use more or less shelf space. Your company may grow or contract over time. Make sure your 3PL provider is able to stick with you through these changes. How quickly can I expand with the fulfillment warehouse? Imagine that you launch a new marketing initiative. You hope for the best, but you don’t know what to expect. Your marketing goes viral and your sales blow up. Your production can meet the demand. Can your 3PL provider? Make sure that your logistics provider has the capacity to accommodate you when your business grows at the speed of online commerce. What kind of flexibility will I have to reduce my shelf space if my business contracts? In eCommerce, big changes can happen suddenly. If your market niche is disrupted, you’ll need to cut back on your expenses quickly to keep your business afloat. Make sure your fulfillment warehouse is ready to roll with these changes quickly, if you need them. 5. What percentage of my orders can reach customers in two days or less from the 3PL warehouse? Two-day shipping is the industry standard in eCommerce. Big online retailers like Amazon constantly search for new ways to get products to customers faster. Services like same-day delivery will become more common in the future. To compete, you need to keep up. When it comes to delivery times, location is key. Does the 3PL provider have multiple fulfillment warehouse locations for faster shipping to US customers? The location of your fulfillment warehouse is one of the most important aspects of order fulfillment. It’s also one that many eCommerce companies get wrong. For example, let’s assume your products arrive at the port of Los Angeles. It might seem convenient to use a fulfillment center near the port of entry. However, shipping orders from a warehouse in LA is not convenient for your customers. It will take several days for a package to reach many parts of the US. A better fulfillment strategy is to ship from one or more centrally-located warehouses. With just two warehouses in strategic locations, your orders can reach 97 percent of Americans within two days. Does the 3PL provider have international warehouse locations? If you want your eCommerce business to grow, think international. A US warehouse that handles international shipping can be a good partner. In the long term, however, you may want to work with a 3PL provider that has international warehouse locations. Storing your products closer to your international customers can lower shipping costs and time. This will make your goods more appealing. 6. Does the 3PL provider offer same-day order processing? You need a 3PL provider that innovates and changes to keep up with the latest shipping trends. One of the most important recent trends in logistics is same-day order processing. Two-day shipping is a hollow promise if it takes a week to process the order. Choose a 3PL provider that can process your orders with a same-day turnaround. 7. What is the shrinkage allowance? Shrinkage is the difference between the amount of product you ship to your 3PL provider and the amount of stock that’s on the shelves and available to ship. Your missing products may have been lost, broken, or stolen. Most 3PL providers have a shrinkage allowance. This is the percentage of your product that can disappear before the warehouse has to reimburse you for the loss. Look for a fulfillment center with a low shrinkage allowance. Better yet, find a logistics provider with a no-shrinkage guarantee. 8. What kind of performance and accuracy guarantees does the 3PL provider offer? If your 3PL provider mis-packs one of your orders, it costs you. You have to spend money to ship the corrected order. Customer service to deal with the issue takes time and costs you money. Some fulfillment centers offer commitments to get your orders out on time and packed correctly. If they don’t, you are compensated for the cost. This kind of guarantee is an incentive for your 3PL provider to get it right the first time. It’s the kind of 3PL service that helps you sleep at night. 9. How does the fulfillment center process returns? If you have an eCommerce business, you will have returns. The customer experience of your returns policy can hurt your business or build loyal customers. How your fulfillment warehouse handles returns can clog the pipeline or help your business hum along smoothly. How quickly are refunds processed? To build customer trust, your customers need speedy refunds for returns. Find out how quickly your 3PL provider will process a refund after the returned order comes back. How quickly do returns go back into stock? Returned packages that sit on the loading dock are a stranded asset. The item isn’t available to be sold to someone else. Make sure you 3PL provider gets returns back on the shelves quickly. What steps does the warehouse staff take to assess damage? Some returns may have issues. You need to keep damaged goods out of stock to keep from damaging your reputation. Find out how warehouse staff assesses whether a return is suitable to resell. 10. Can this 3PL provider handle customer service? As your eCommerce company grows, you may want to outsource more of your customer service to your 3PL provider. Find out if your fulfillment warehouse can field queries from customers about their orders. This kind of service is a win-win. If the call came to you, you’d have to contact the warehouse to get the answer. When your fulfillment center handles delivery inquiries, your customers go right to the source. Even if you keep your customer support in-house, it’s a good idea to offer real-time tracking. This kind of transparency reduces anxiety for customers. It can also reduce the number of customer service calls you have to handle. 11. Does the fulfillment center have power and ISP backups in place to avoid downtime? Every year, there is more severe weather. That means more power outages. However, your customer in New York doesn’t know about a blackout at your warehouse in Tennessee. Your orders need to keep rolling, regardless of the weather. Make sure your 3PL provider has a backup power source, so the lights stay on. Internet service can have an outage even if the power is on. Fulfillment centers don’t work without an internet connection. A warehouse should have at least two different ISPs, so the connection is continuous. 12. What kind of security does the fulfillment warehouse have in place? Your inventory is a big investment. When you entrust it to a third-party fulfillment warehouse, you need to know that the 3PL provider will keep it secure. The warehouse should have security cameras that cover all areas, inside and out. Employees should be thoroughly vetted to make sure they are trustworthy. Entry to the fulfillment warehouse should be controlled 24/7. Even if the warehouse is closed overnight, there should be security in place to prevent break-ins. Beyond theft prevention, security means keeping your products in perfect condition. The warehouse should be climate-controlled to prevent excess heat, moisture, or cold from damaging your inventory. Security isn’t just physical. You share a great deal of data with your 3PL provider. That includes customer names, addresses, and contact information. The fulfillment provider should have strong internet security in place. This will help keep your sensitive data from being hacked. 13. Does the fulfillment center work with my preferred shipping carriers? Can it handle international shipping? Outsourcing your logistics will be a big change. You don’t need to add the disruption of working with a new shipper to the mix. Make sure your fulfillment warehouse has contracts with your preferred delivery service. In addition, find out if you 3PL provider can process international shipments. Does it have relationships with international carriers? Can the fulfillment warehouse take care of the paperwork required by different countries? You may not ship internationally now. However, it’s a good idea to have this option as your business grows. 14. Does the 3PL provider offer other services I might need, such as kitting, customizing, or box inserts? Your third-party fulfillment provider can give a big boost to your business with extra services. Customization allows you to offer personalized products. Just-in-time customization means you need less inventory. Kitting is a great way to increase your sales. Customers appreciate bundles that show them which products go well together. They get the benefit of a better price. You get the benefit of selling multiple items. Kitting at the warehouse gives you the flexibility to sell items individually or in a kit. You can carry less inventory and still meet customer demand. The option for a monogram on a towel or a personal message in a beaded bracelet can increase sales. Mailbox orders need the street number painted on. Customization in the warehouse will speed your order fulfillment and improve your logistics operations. A personal thank you note with an order is a great way to boost customer loyalty. Your fulfillment warehouse should be able to place custom inserts with your orders. It’s an extra effort that will pay off in repeat sales. 15. Are there any additional fees associated with creating and managing my account? Warehousing and Fulfillment reported on a surveythat showed rising costs in the third-party logistics industry. Hidden fees can drive your fulfillment costs up and your profit margins down. Here are some fees that a 3PL provider might add into your contract. According to the survey, the average account setup fee for a 3PL provider is $336.00. Some fulfillment centers have no account setup fees, however. The average account management fee reported in the survey was $226.54. Since this is a recurring charge, it can add up. Some fulfillment warehouses charge per SKU you carry in inventory. If you sell a lot of different SKUs, this fee structure may be prohibitive for you. Make sure you’re clear whether you’ll be charged per SKU. Run the numbers to make sure the fee structure works for your business. 16. What kind of contract is required? No matter how many questions you ask, there is no substitute for experience. The true test of a new 3PL provider comes when you start to work together. 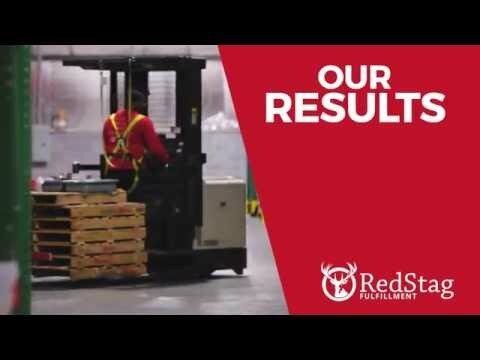 The founders of Red Stag created their fulfillment company after frustrating experiences with third-party logistics providers. Ask if the fulfillment company offers a free trial period. In addition, find out what kind of contract the fulfillment warehouse requires after that. Your eCommerce company will grow and change and your fulfillment needs may change as well. Even if you like your 3PL provider, you may need to switch to a different fulfillment partner in the future. Read the fine print in the contract. Make sure you are comfortable with the terms of the agreement. What are the most important qualities you want in a 3PL provider? Don’t be afraid to ask a lot of questions. Your fulfillment center may be your most important vendor. It’s worth taking the time to get it right. There are lots more questions you may want to ask your prospective 3PL partners. For a complete of 3PL provider questions, check out this Red Stag questionnaire.